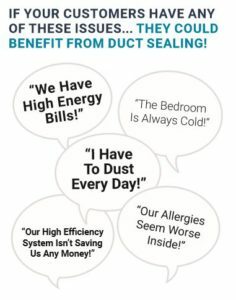 What are the BENEFITS of DUCT SEALING for homeowners? Registers are temporarily blocked with foam plugs to force air in the duct work to escape through any leaks. 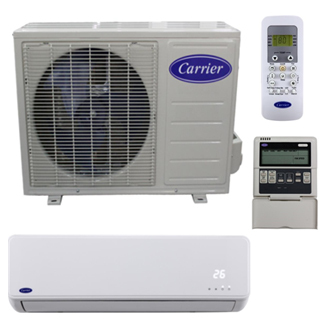 Then the air conditioning indoor coil, fan, and furnace are also temporarily blocked with a foam plug to prevent sealant particles from entering this part of the HVAC system. Once the system is properly prepped, the Aeroseal machine is connected to the duct work using lay flat tubing. A small access hole (which will be closed upon project completion) is cut into the supply or return, and a temporary collar is attached. One end of the tubing connects to the collar; the other end connects to the Aeroseal machine. 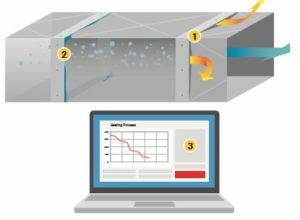 The Aeroseal system runs a pretest that pressurizes the duct system and provides a leakage reading on the computer. 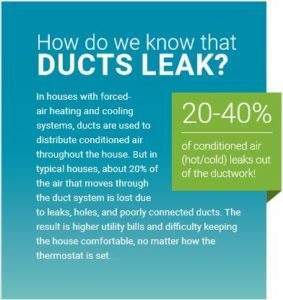 It will detect the exact amount of duct leakage in the duct system (the typical duct leakage detected in a home is between 30-40%). Many dealers will test the supply and return individually, while others will test them at the same time. 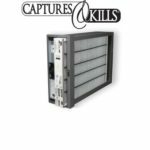 The patented aerosol sealant is injected as a mist into the ductwork. Holes and cracks in the duct system are found by the pressurization. The aerosol particles collect on the edges of holes and cracks in the ductwork to seal them from the inside. 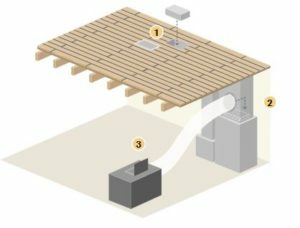 This entire process is computer controlled so homeowners can monitor the progress in real-time and watch the minute by minute reduction in leakage. 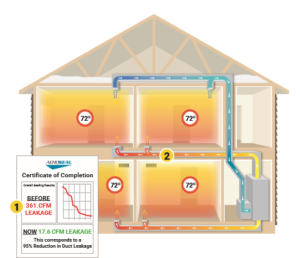 Upon completion, the homeowner is presented with verifiable proof of the seal in the form of a computer-generated certificate, which includes before and after results of the Aeroseal application. 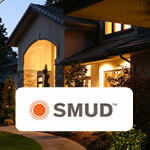 Once the entire project is complete, homeowners will notice the results immediately. 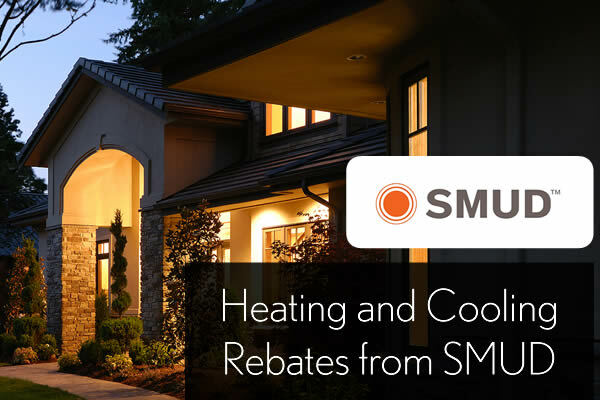 Temperatures throughout the home will be more even, hot and cold spots should be eliminated, and the HVAC system will run more efficiently, which will help to save money on utility bills. Homeowners will also notice improved indoor air quality. 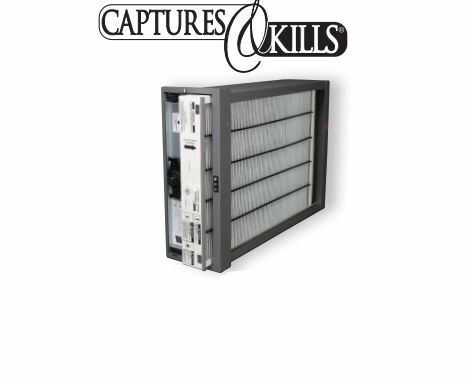 There should be less dust, fewer allergens and cleaner air.